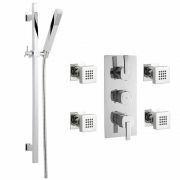 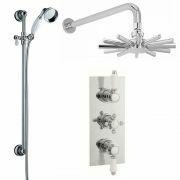 Update your bathroom appearance and shower in style with the Ashurst triple thermostatic shower valve and waterblade shower head. 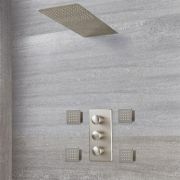 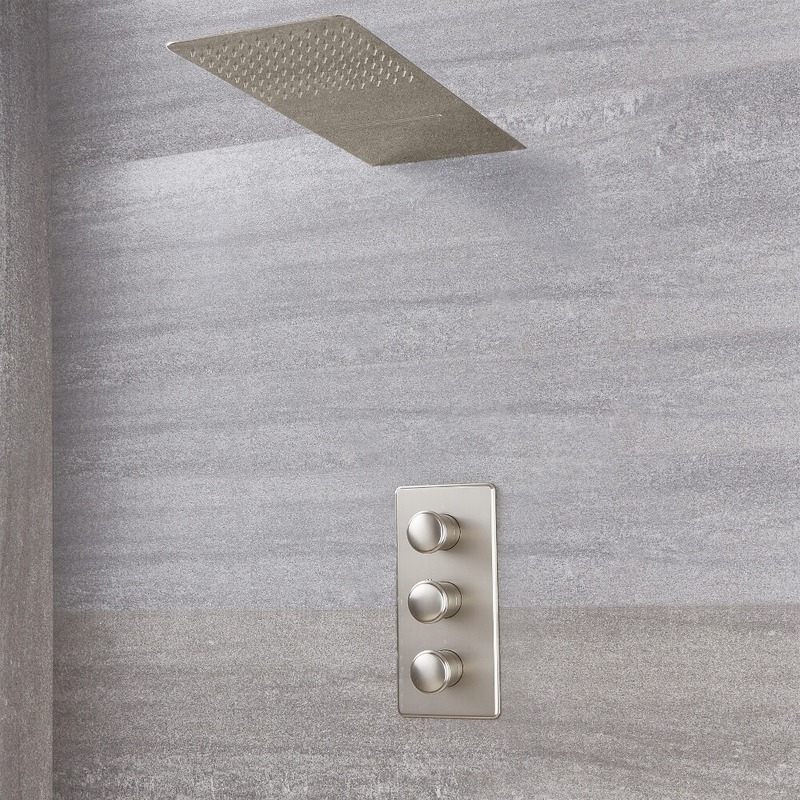 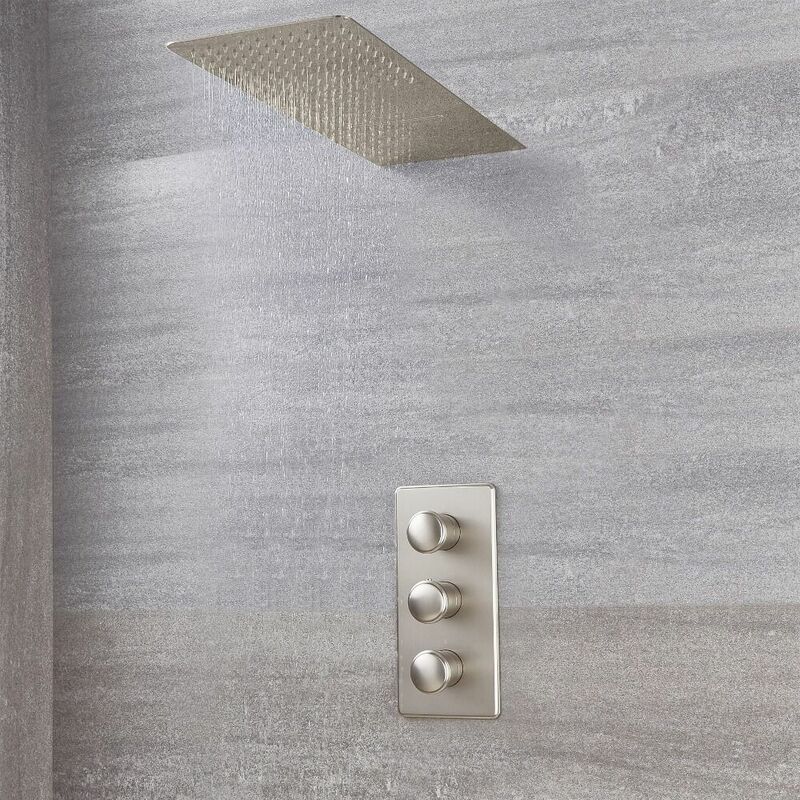 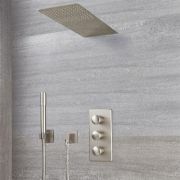 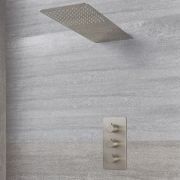 Featuring a lovely brushed nickel finish, the shower valve makes use of anti-scald technology to ensure a safer showering experience. 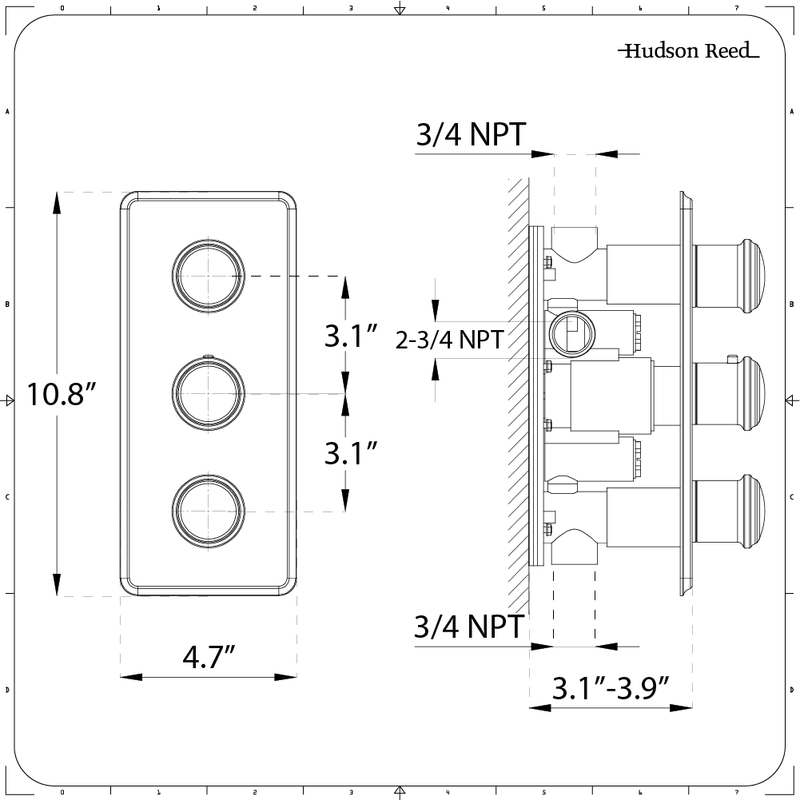 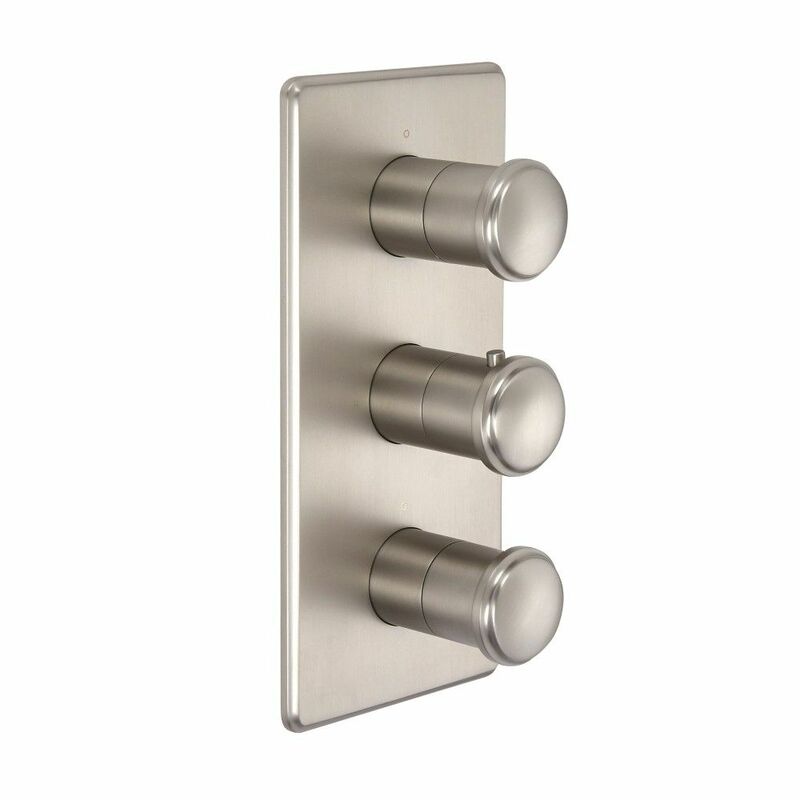 It is manufactured from solid brass to ensure a durable performance. 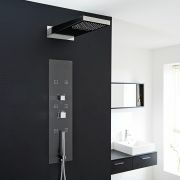 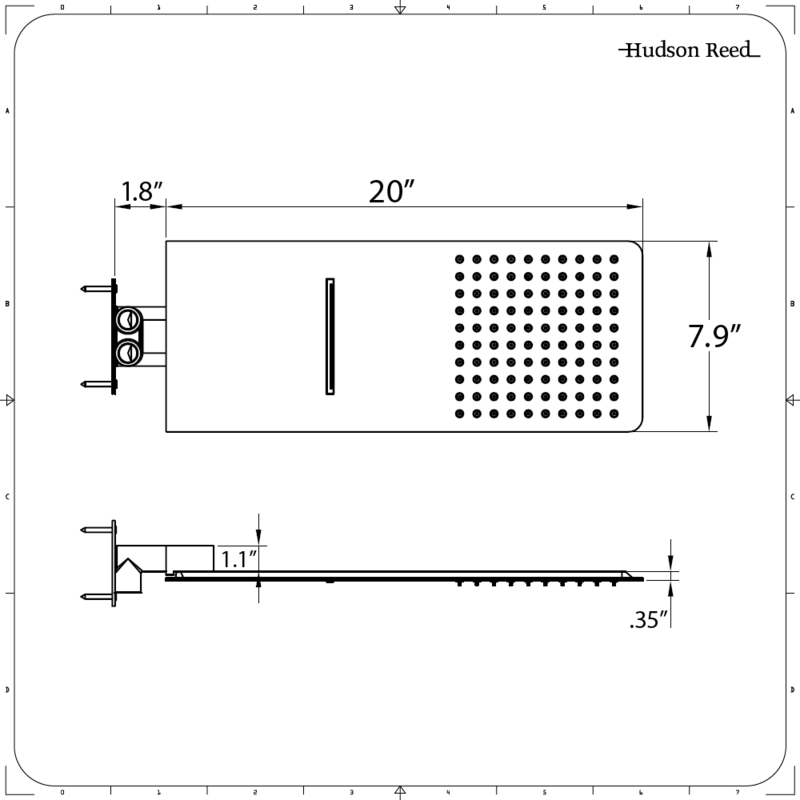 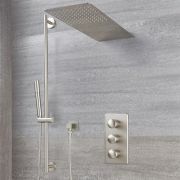 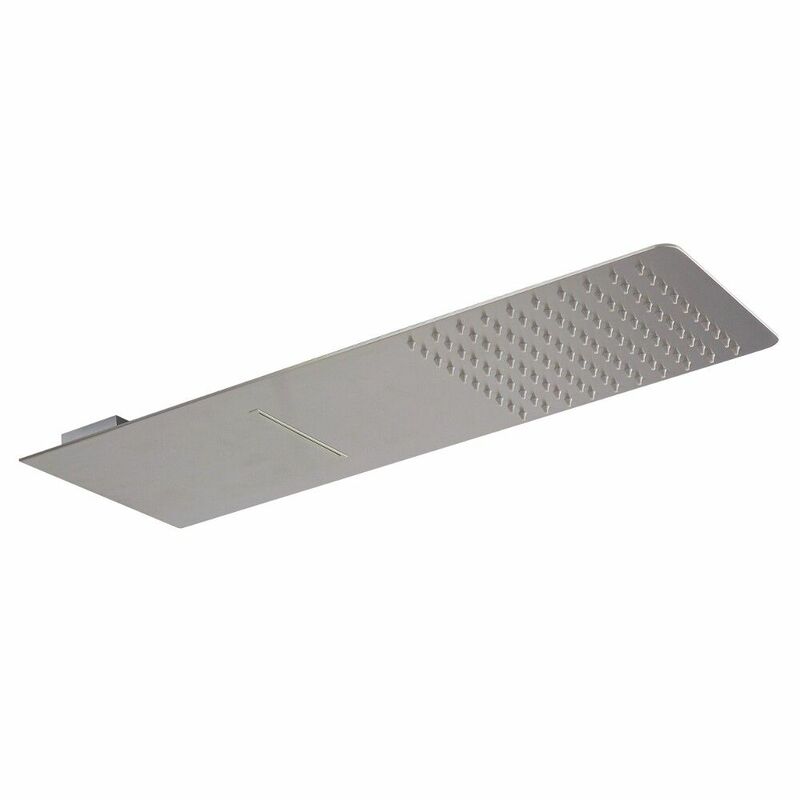 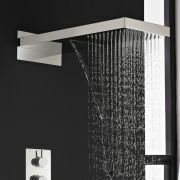 The shower head offers two functions – rainfall and waterblade – for a luxurious showering effect.